Prior to building your signature template, take a look at Sigstr’s signature best practices and consider your company’s branding guidelines. Once you have established a signature strategy, follow the steps below to create your new signature template! 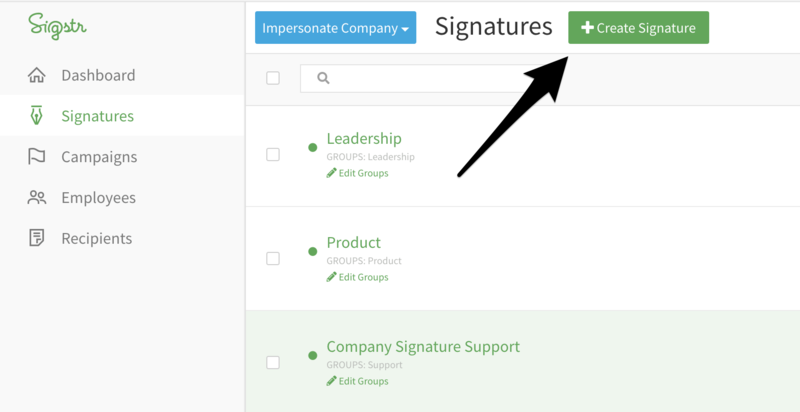 Navigate to Sigstr’s Signatures section and select Create Signature. Within the signature builder, select the company and employee fields that you would like to insert into your signature template by hovering over the field and selecting the + icon. Company fields are data points that are universally applicable for all employees while employee fields change depending on the individual. If you want to give end-users the ability to change the information depicted in an Employee field, you can unlock the field. 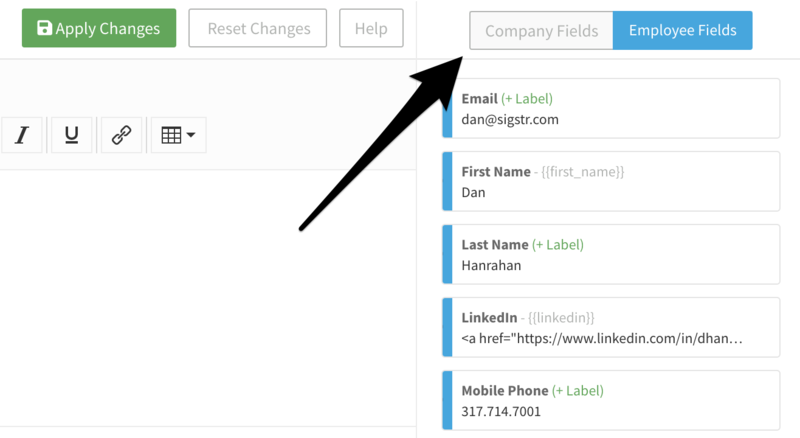 To edit a company field, click on the pen button in the right hand corner of the field. 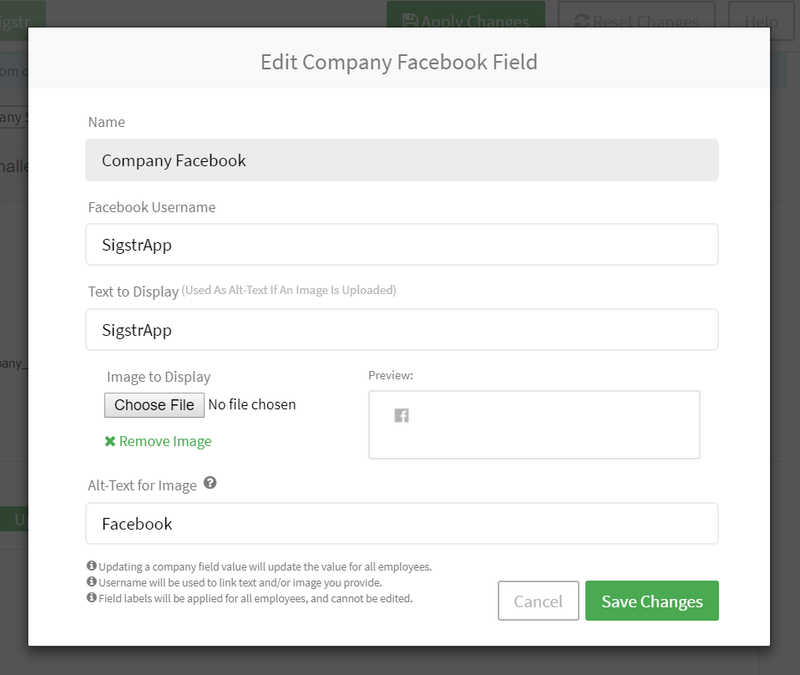 Some signature fields support images. If you would like to use an image, remember to size it appropriately before uploading it into the application. Select the appropriate font, font size, font color, and line height via the toolbar at the top of the signature editor. Sigstr only offers web safe fonts to ensure signature viewing is consistent regardless of the email recipient. Make sure to use tables and labels to organize signature components. 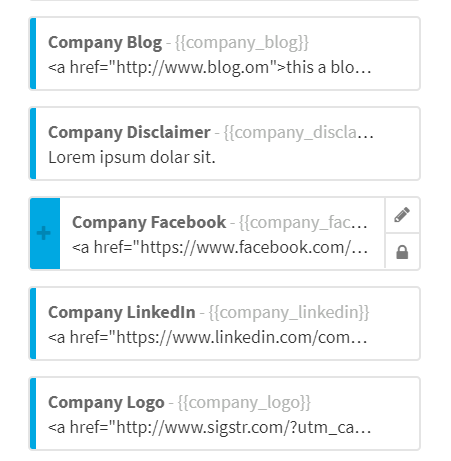 Insert additional text and links as necessary via the signature editor. If you need to directly edit the source code, select the icon to the very left of font options. Preview and test. You can preview an employee’s signature via the drop-down preview tool within the Signature Preview section of the application. Testing is highly recommended via a small group of employees to ensure you are pleased with the template before a wider roll-out. Assign the appropriate Groups to your signature template. Depending on how many Groups you have, you can use multiple signature templates simultaneously.